Welcome to the website of Dj / Producer Michael de Kooker. The wait is over. After weeks of announcements and teasing, Michael’s new E.P. has finally been released. 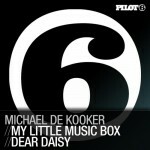 You’ll find the deliciously diverse dish of ‘My Little Music Box’ and ‘Dear Daisy’ exclusively on Beatport.com! Ever searching for the perfect style fusion, we find Michael de Kooker unlock perfect balance with his debut E.P. 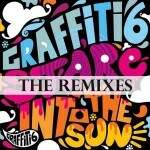 on the Pilot 6 label.